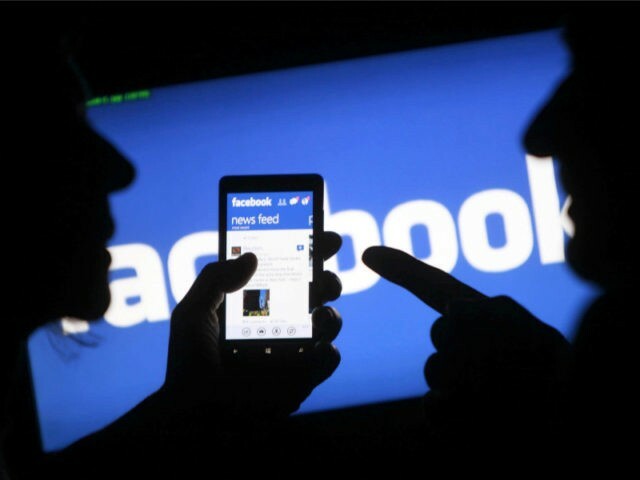 A high school teacher in Bangladesh has been suspended from his position after an angry mob demanded that he be kept away from his students, alleging that he had “liked” a Facebook comment critical of Islam using a pseudonymous account. While few reports exist confirming the suspension, and even finding an online presence for Kalyani High School proves difficult, the existing English-language reports all tell the same story. Allegedly, assistant mathematics teacher Biplab Kumar Roy did not return to work in Bangladesh Monday and is officially suspended after a Muslim mob stormed the school, claiming that a Facebook account belonging to Roy had clicked “like” on a post allegedly questioning the legitimacy of Islam. Roy is openly known as a Hindu, though no evidence exists that he had made any comments against Islam personally. The Facebook page in question carries the name “Krishna Kumar,” and school authorities say Roy is suspended until they can prove the account either belongs to him or not. “A group of people started agitation at school playground on Monday alleging that Assistant Teacher of mathematics Biplab Kumar Roy ‘Liked a disparaging post against Islam on Facebook,'” according to Bangladesh’s Financial Express. The mob forced the school to cancel classes, and reports suggest the school’s headmaster did not come in to work Monday to avoid the mob. The school formed an investigative committee to confirm the veracity of the Facebook posts but has refused to comment on the matter beyond noting that they need time to conduct their investigation. Bangladesh’s BDNews24 notes that earlier this month, a similar incident occurred in which a teacher was “publicly shamed and later sacked over similar allegations” — and similarly vague ones. The outlet reports that Shyamal Kanti Bhakta, the headmaster of a local school, was “beaten by a mob” for having committed “blasphemy.” It is unclear what he said to offend the mob, nor is it clear what the content is of the offending Facebook post in Roy’s case. The outlet noted it attempted to reach Roy but was unable to get him to answer his phone, which appeared to have been turned off. Bangladesh has been the home to an increasingly violent Islamist mob movement, with regular reports surfacing of vocal critics of Islam being hacked to death by the machetes of an angry mob. The latest victim of this violence was Xulhaz Mannan, the young editor of the nation’s only LGBT magazine. Homosexuality is banned by Bangladeshi law, and friends say Mannan knew the risk he was taking by vocally supporting the human rights of LGBT Bangladeshis and maintaining a friendly relationship with the U.S. embassy in Dhaka. Friends say that Mannan was as fearful of the nation’s police as he was of Islamist militants. He had told friends he was regularly receiving death threats from anonymous Facebook users and did not trust police because they had arrested multiple gay activists for peacefully assembling in public. Al-Qaeda ultimately took credit for assembling the mob that hacked Mannan to death. That same month, an angry mob hacked to death a blogger who had publicly questioned religion. 26-year-old Nazimuddin Samad had written that “barbaric people” had invented religion “as a tool for oppression used by the powerful people and the rulers.” In an attack that police claimed lasted only minutes, Samad was hacked by machetes and shot in the head to confirm he would not survive. Muslims are not exempt from violence. In May, Sufi leader Mohammad Shahidulla, was found hacked to death, throat slit, with authorities suggesting that he was killed for practicing Sufi Islam, which is considered by many Sunni Muslims an illegitimate deviation from “true” Islam.